A skin biopsy may be performed as a part of evaluation of patients with painful sensory small-fibre neuropathies which are otherwise difficult to evaluate by clinical examination and standard tests. Please follow the guidelines below for skin biopsy and ensure that the specimen is sent with a completed pathology request form, which should include the clinical history, examination findings and results of relevant investigations. 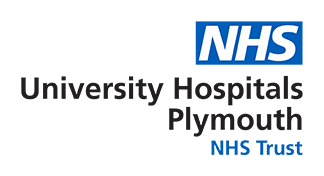 The biopsy may be undertaken by the neurology department or alternatively by a letter of referral to the Neuropathologist, Department of Cellular and Anatomical Pathology, Level 4, Derriford Hospital, Plymouth PL6 8DH. The biopsy will then be arranged via Plastics Outpatients. The referral letter should include relevant clinical information about the patient’s condition and a completed Dermatology Daycase/Outpatient Treatment Waiting List Proforma (available from Jo Ford: joanna.ford1@nhs.net or 01752 432653). The biopsy must be performed aseptically on the distal leg, 10cm above the lateral malleolus, under local anaesthesia using a 3mm skin biopsy punch. If a repeat biopsy is being undertaken then this should be done at the same level of the leg, but at least 5mm away from the original biopsy to avoid scar tissue. After the biopsy is taken, the wound may be sutured by a single non-absorbable stitch, or steristrips used, and a dressing applied. If a stitch is used it will need removal after 7 days. The skin tissue is immediately placed in Zamboni’s fixative (yellow colour) which must be obtained prior to biopsy from Neuropathology laboratory at Derriford Hospital. The tissue should not be placed in formalin. The biopsy should then be transported immediately to the laboratory. Please contact the Neuropathology staff (Neuropathology Laboratory, Department of Cellular and Anatomical Pathology, Level 4, Derriford Hospital, ext. 54408) before sending the specimen. A report will be issued to the referring clinician within 1-2 weeks of receipt of the biopsy. The same procedure as outlined above should be followed by the person performing the biopsy. Samples of special fixative (Zamboni’s) should be obtained well in advance of the procedure from the Neuropathology laboratory, Level 4, Derriford Hospital. However, after placing the skin biopsy in the fixative, it should be refrigerated at 4oC for 24 hours, prior to sending it to Derriford. Hospital Tel: 01752 202082 ext 54408. Please ensure that the specimen is placed in the correct fixative and transported immediately to the Neuropathology laboratory at Derriford Hospital. If there is anticipated delays in transportation ensure that the tissue is stored at 4ºC in a refrigerator (for no longer than 24 hrs). Muscle biopsies are usually performed by the neuropathologist, but may also be taken by a general surgeon. A written request should be sent to Dr D Hilton or Dr A Shivane, Department of Cellular and Anatomical Pathology, Level 4, Derriford Hospital. Patient identification details should including daytime telephone number. The clinical information provided should include relevant symptoms, CPK level, EMG findings, family history and clinical examination findings. Any factors which may complicate surgery should be highlighted in the referral letter e.g. implantable defibrillators/pacemakers, clotting disorders, anticoagulation, latex allergy. In most cases the biopsy will be performed as an open procedure under local anaesthetic. If the biopsy needs to be done before the next available day case theatre session then a needle biopsy could be taken by the neuropathologist on the ward, or a general surgeon should be requested to undertake the biopsy. If the biopsy is to be undertaken by a general surgeon, the neuropathologist should be informed at least a day in advance of the operation date. It is important that the muscle is removed without diathermy or direct local anaesthetic infiltration. Two fascicles of muscle (usually from either deltoid or quadriceps femoris) approximately 1.5 cm in length and 0.5 cm in diameter are adequate. The biopsies should be placed in a shallow flat bottomed container, without fixative or saline, and clearly labelled with the patient identification details. An accompanying request form with clinical information (as outlined above) and the name of the clinician who requested the biopsy should also be sent. The specimen must arrive in the Department of Cellular and Anatomical Pathology within 20 minutes of removal and no later than 16.00 hours. A member of the laboratory staff should be informed immediately prior to sending the sample (ext. 54408). Nerve biopsies are usually performed by the neuropathologist, but may also be taken by a neurosurgeon. A written request should be sent to Dr D Hilton or Dr A Shivane, Department of Cellular and Anatomical Pathology, Level 4, Derriford Hospital. Patient identification details should including daytime telephone number. The clinical information should include symptoms, results of nerve conduction studies, radiological findings, family history and clinical examination findings. Any factors which may complicate surgery should be highlighted in the referral letter e.g. implantable defibrillators/pacemakers,clotting disorders, anticoagulation, latex allergy. In most cases the biopsy will be performed as an open procedure under local anaesthetic. Either the sural nerve (adjacent to the lateral malleolus) or the superficial branch of the common peroneal nerve (adjacent to the inferior fibula) are sampled. If vasculitis is suspected, combined peroneal nerve and peroneus brevis muscle biopsies should be requested. If the biopsy needs to be done before the next available day case theatre session then a neurosurgeon should be requested to undertake the biopsy. If the biopsy is undertaken by a neurosurgeon then the neuropathologist should be notified at least one day in advance. In most cases 3-4 cm of nerve is adequate. The specimen should be placed in a shallow flat bottomed container, without fixative or saline, and labelled with patient identification details. The specimen must arrive in the Department of Cellular and Anatomical Pathology within 20 minutes of removal, and no later than 1600 hours. A member of the laboratory staff should be informed immediately prior to sending the sample (ext. 54408). Requests for loss of heterozygosity from 1p and 19q, for the management of oligodendrogliomas, should be made by sending 10ml EDTA blood to Joanna Farrugia in Derriford Combined Laboratories. Requests for MGMT assay should be made by contacting either Dr D Hilton on 31360 or Dr A Shivane on 32033.